Care Packages for Soldiers: A Generous Donor Went Shopping for the Troops! A Generous Donor Went Shopping for the Troops! John, an extreme couponer, used his skills to shop for items for the troops. The bags of food and toiletries filled the back of his vehicle. These items will be added to the other items we have collected and will be included in the care packages that will be boxed and mailed in October. 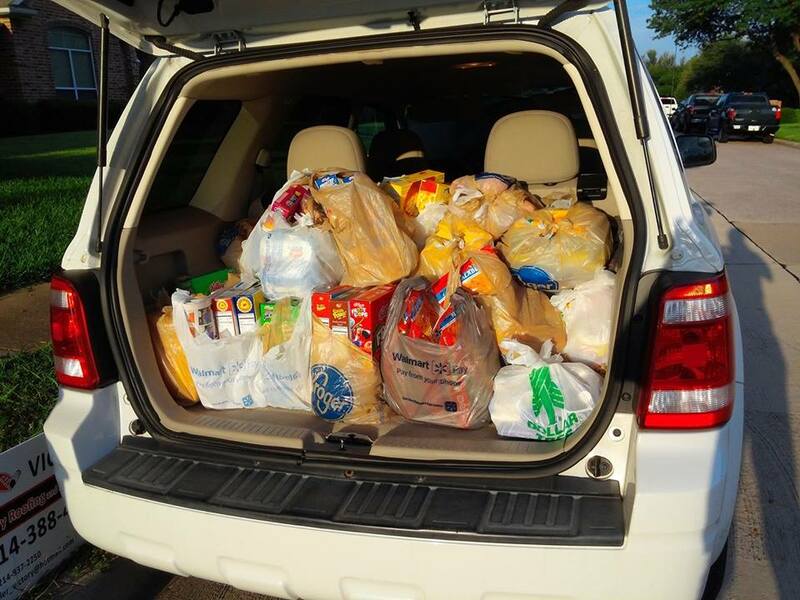 John used his couponing skills to fill the back of his vehicle with items for the troops. We greatly appreciate the support of all the individuals, organizations and businesses who help us ship care packages to American Soldiers, Sailors, Airmen and Marines serving overseas. You can send requested items to us to be included in the care packages, donate funds through the Click and Pledge link at the top of the page or send checks made payable to: Airborne Angel Cadets of Texas, P.O. Box 116691, Carrollton, TX 75011.